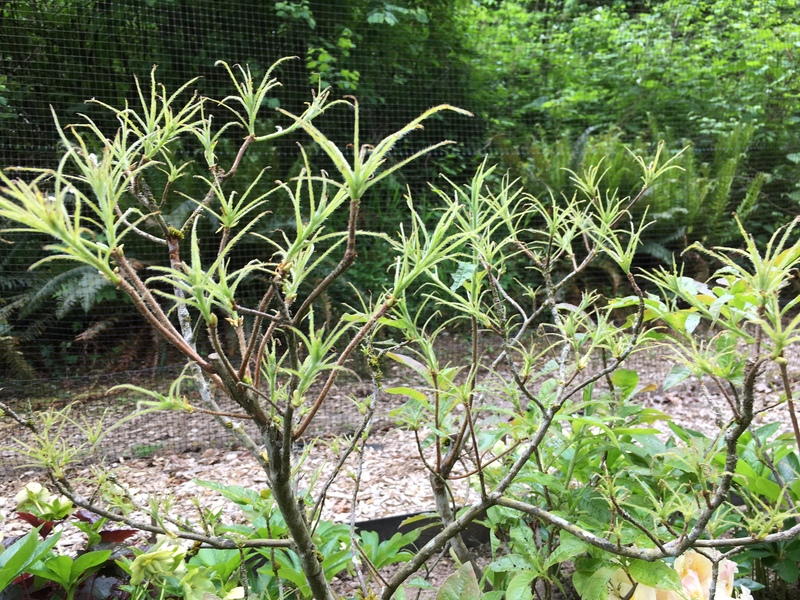 Damage to azalea caused by the azalea sawfly. Azalea sawfly running from scene of the crime! Pest description and damage Azalea sawfly adults are small black fly-like insects. 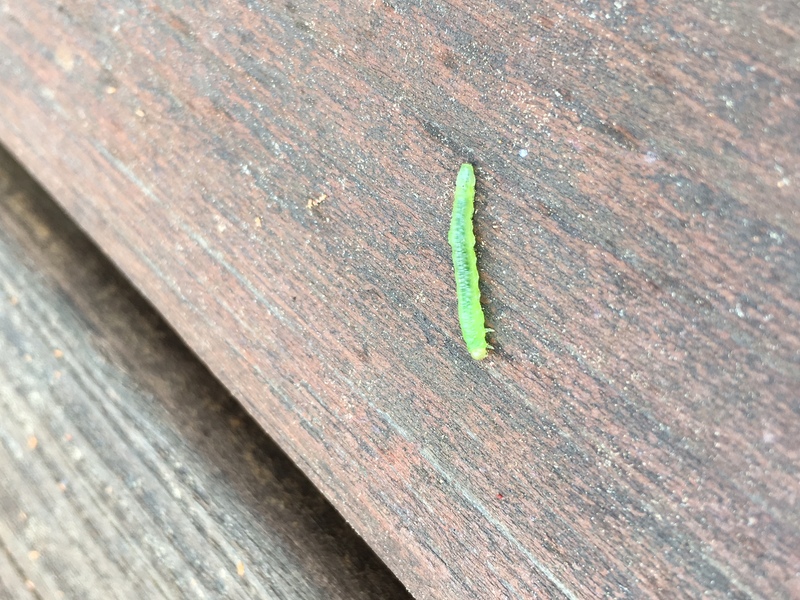 The larvae are green and closely match the leaf color of their host plants. They feed only on Rhododendron mollis and R. occidentalis azaleas. The larvae feed on leaves at the tips of twigs and branches. Generally, one or two larvae per leaf feed along the edge up to the midrib leaving only the midribs. Damage is restricted to the tips of branches but occasionally plants can be entirely defoliated. Biology and life history Sawflies overwinter in cocoons in the soil, and emerge just as the new leaves emerge. Adults may be found swarming when the sun is shining on the plants. Eggs are laid singly along the leaf edge and the small larvae begin to feed along the leaf edge. There is only one generation in a year. Pest monitoring Larvae are so well matched to the color of the leaf edge that they are very difficult to see. Look for tiny dark specks of frass on leaf surfaces below feeding larvae, then look up to find the larvae. Start looking for flying sawflies, or use yellow sticky traps to trap flying adults as the first leaves open; or watch for frass on leaves shortly after flowering. Handpicking of insects is possible on small plants but more difficult on large species. The larvae are so cryptic that they are hard to see so continuously watch for fresh brown specks of frass. Use a beating sheet to dislodge larvae. Little is known of biological controls.